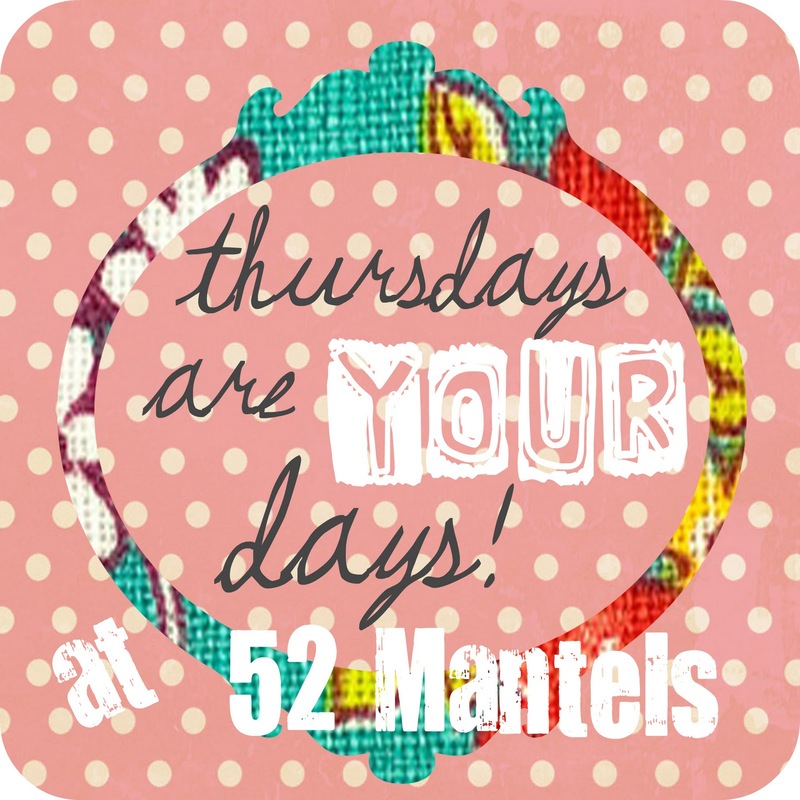 52 Mantels: Thursdays Are YOUR Days, Vol 8! Thursdays Are YOUR Days, Vol 8! Yay for Thursdays!! I am so excited to see what you've been working on this week! But, first, can I just tell you that this has been a Cuh-razy week for me? Ever get that feeling like you've forgotten something, but can't quite place what it is...and, then come home to find water seeping into the garage from your studio apartment and then remember it was the water? And, then it dawns on you...that was the feeling you had all day? That I'm forgetting something feeling was that you forgot to turn off the faucet? That ever happen to anyone? Anyone at all? No? Well, never mind then. That never happened to me, either. Nope. Never. But, I still can't shake that darn I'm forgetting something feeling. But, enough about that. Let's get to the fun, shall we?? 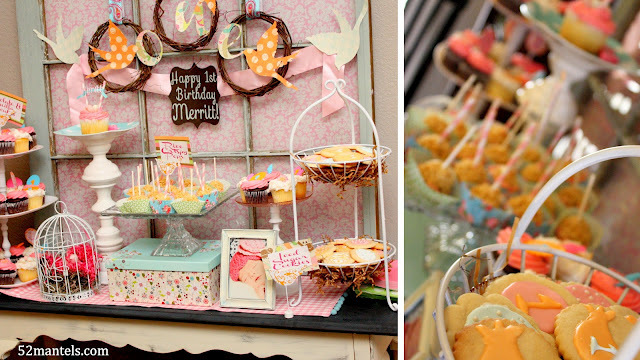 I shared all the details from my daughter's Bird Themed First Birthday Party! And, on Mantel Monday I showed you the Girly, Turquoise and Pink Baby Shower Mantel from this weekend's party! And, on Tuesday I shared the tutorial from this Craft Room Art Project! Thanks again, Emily for hosting! You have had an amazing and fun week-I am really happy for you! Thanks for hosting friend! I actually have something to link up.. woot woot! What a fun idea for a party - wish I had a mantel to link up. I'm so happy to be following you with GFC as a fellow tribe member! And I'm here, a nice party. I send greetings from the Croatian. Thanks for hosting! I linked up my printables :) Ps SUPER cute link party button!! SO excited to be linking up for the first time!! Hey Emily! You know you make me love Thursday mornings! Thanks for hosting! And don't feel bad....I had a huge salt water aquarium spill over and seep through 2 floors one time while I was gone. Ughhhhh. I just noticed the little polka dot plate on your Mantel! Did you get that on clearance at Hobby Lobby? I just keep seeing all my crafting stuff on your blog ; )! Thanks for hosting your amazing party! Have a good weekend and I tagged you in a blog tag game! For some reason I can't share my link... I click Next Step and nothing happens? Thanks for hosting!! Hope you are having a great time and can't wait to hear all about it!! are not accessible through the App Shop.